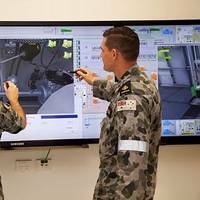 The much awaited announcement for the replacement to the current Armidale Class patrol boats was announced by Prime Minister Malcolm Turnbull at Russell Offices in Canberra. Lürssen was named as the prime contractor for the 12 new Offshore Patrol Vessels (OPV) with the Australian PV80 variant. 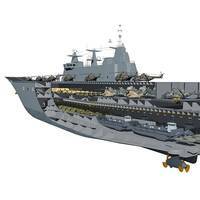 It will be 80 metres in length with a displacement of 1700 tonnes and a draught of 4 metres. The vessels will be fitted with a 40mm gun for self-protection, three 8.4m sea boats, state of the art sensors as well as command and communication systems. 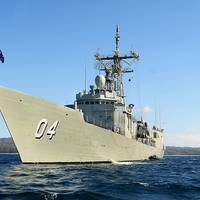 The Royal Australian Navy is hosting the biennial Sea Power Conference with senior naval delegations from around the world descending on Sydney for three days of discussions and Navy-to-Navy engagements. Run alongside the Pacific 2017 international maritime exposition, Sea Power Conference is Navy’s premier gathering of naval chiefs and this year will explore the broad theme of ‘The Navy and the Nation’, focusing on maritime identity, the significance of maritime economics and use of the oceans. Each year on 8 March, Australian Navy joins with institutions and organisations around the world to celebrate International Women’s Day, recognising the achievements and vital role women deliver in the workforce. In 1911, when International Women’s Day began, the only ladies in the fleet were ships. Now, over a century later, women a part of the fabric of Navy, represented across all ranks and in every employment category. The Chief of Navy, Vice Admiral Tim Barrett, said the day was a chance to build awareness of the obstacles women face. Family and friends joined Chief of Navy, Vice Admiral Tim Barrett on the wharf at Garden Island, Sydney to welcome HMAS Darwin home from a successful Middle East deployment. During her Operation MANITOU rotation, Darwin and her Ship’s Company seized a large cache of illicit weapons and narcotics. Vice Admiral Barrett praised Darwin’s Ship’s Company on their accomplishments. “By removing weapons and drugs from circulation, you made a tangible difference, limiting terrorist organisations’ ability to raise money,” Vice Admiral Barrett said. 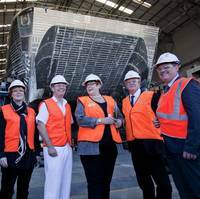 Shipbuilder Austal on Wednesday welcomed the Australian Minister for Defense, Senator Marise Payne, to Austal’s Western Australian shipyard for a look at the company’s naval vessel design, construction and sustainment capabilities. The Defense Minister’s delegation, which included Senator Linda Reynolds and Senator Chris Back, was joined by Western Australia Premier, Colin Barnett and Chief of Navy, Vice Admiral Tim Barrett for a tour of one of two OPV-sized High Speed Support Vessels; designed and constructed by Austal for the Royal Navy of Oman. Australia has farewelled a Royal Australian Navy ship that has served the country for over three decades in a ceremony today on Sydney Harbour. The Governor-General, His Excellency General the Honourable Sir Peter Cosgrove, AK MC (Retd), together with the Minister for Defence, Senator the Hon Marise Payne, and Chief of Navy Vice Admiral Tim Barrett, AO, CSC, RAN, attended the decommissioning of HMAS Sydney, at her homeport of Garden Island, Sydney. Minister Payne paid tribute to the service of ship’s company past and present. 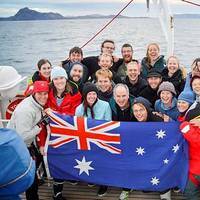 The Royal Australian Navy operated Sail Training Ship Young Endeavour rounded Cape Horn on Australia Day, 36 days into a 12-month circumnavigation of the world. Chief of Navy Vice Admiral Tim Barrett AO, CSC, RAN congratulated the 36 seafarers on board the square-rigged tall ship, including 12 Royal Australian Navy crew and 24 alumni crew specially selected for the passage. Vice Admiral Barrett said the passage around the southernmost tip of South America remained one of the most challenging nautical routes on the planet, and was a significant achievement for the crew of Young Endeavour. Governor General of Australia, His Excellency General the Honourable Sir Peter Cosgrove, AK, MC (Retd), together with the Prime Minister of Australia, the Hon Mr Tony Abbott, MP, were the guests of honour today as Australia’s first Landing Helicopter Dock (LHD) was welcomed into service in the Royal Australian Navy. The Australian White Ensign was raised for the first time, signaling that HMAS Canberra III was formally commissioned into the Fleet. Navy, Army and Air Force members of ship’s company lined the aircraft hangar as invited guests witnessed the historic event.